The process of relocating requires a lot of packaging and packing. When considering the amount of packing involved, you realise that it is not going to be a simple project. 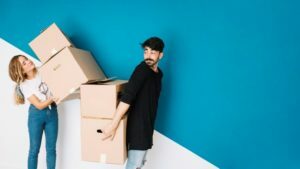 Packing your house to more is not a case of throwing everything you own into boxes, this is a recipe for disaster – and you would be putting your belongings at risk. Packaging should be done properly in order to avoid issues from arising during the transportation, and if this part is not done correctly you could live to regret it later on. So, how should packing be done? Firstly, consider thinking about what is complex and what those boxes are going to support. Once boxes are ready and packed, they will need to be carried, loaded, transported, unloaded and piled up again. There is a lot of labour, this is why things often go terribly wrong. Ensure you are using strong boxes; most people think that spending less on packaging will assist in reducing the cost of the move. However, if your boxes arrive damaged with broken goods, how much more is it going to end up costing you to replace these goods? Additionally, fillers are just as important. Fillers fill the gaps inside the boxes and are extremely vital. Most people fill the gaps with more things but this just overloads the box and adds more weight. Fillers are not expensive and are ideal for protecting glass or other objects that may break easily. Bubble wrap or newspaper are perfect to use as fillers. It is important to remember to always tape boxes well. Keep in mind to label your contents in the both so you can avoid undoing your hard work afterwards. In addition, labelling of boxes are extremely important. For example, make sure your box states if there are breakable items so you are able to place these boxes in a safe area when loaded. Labelled boxes will also assist the removal company to know which should be handled with the ultimate care, reducing the risk of damaged goods. Looking for a removal company? Better Moves are specialists in both home and office removals as well as storage and special packaging. Visit our website for more information today!